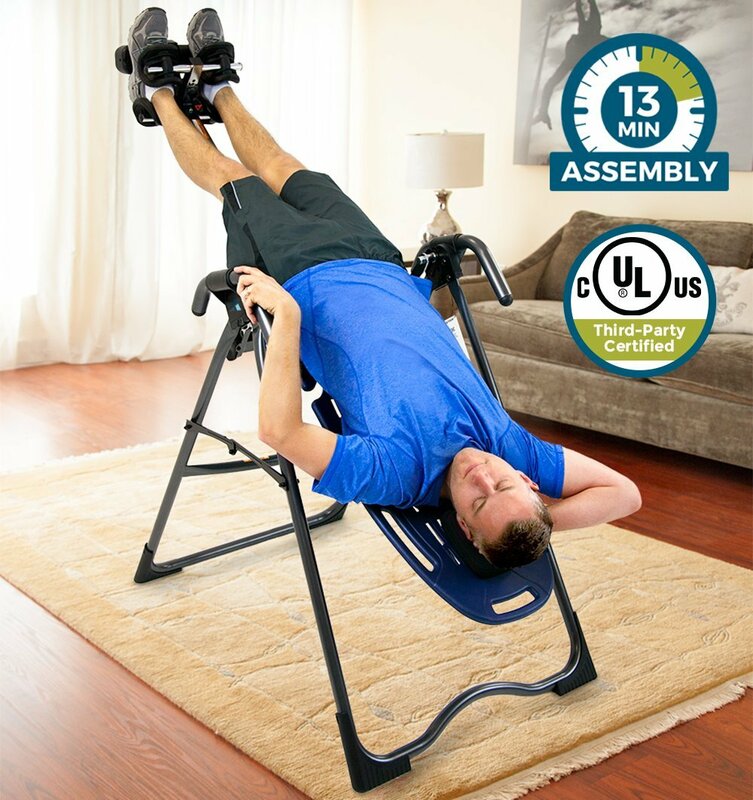 An inversion table is basically a bench you lie on, which lets you flip and hang upside down. 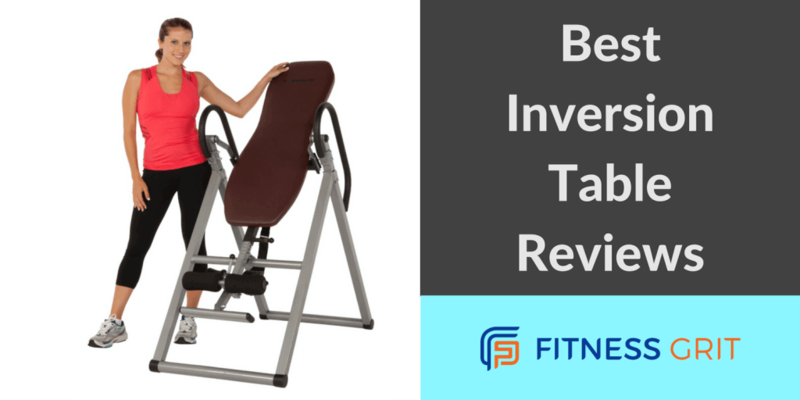 Finding the best inversion table can be taxing when you do your consumer research online. Buying the right one can be a challenge, because there’s really no consensus among health experts as to just how useful these things are. While the debate rages on about the true value of using an inversion table, what’s not contested is that fact that a lot of people do find them very helpful. The basic form of inversion table therapy is simply hanging upside down for a few minutes. Such a simple change in how gravity affects your body when you’re upside down can lead to several types of inversion table benefits such as temporary relief from back pain. The use of inversion therapy has become more popular in recent years, and part of the reason is because the population in many countries such as the US is aging. There are more people over the age of 65 in the US than ever before, and an aging population is more susceptible to back pain. 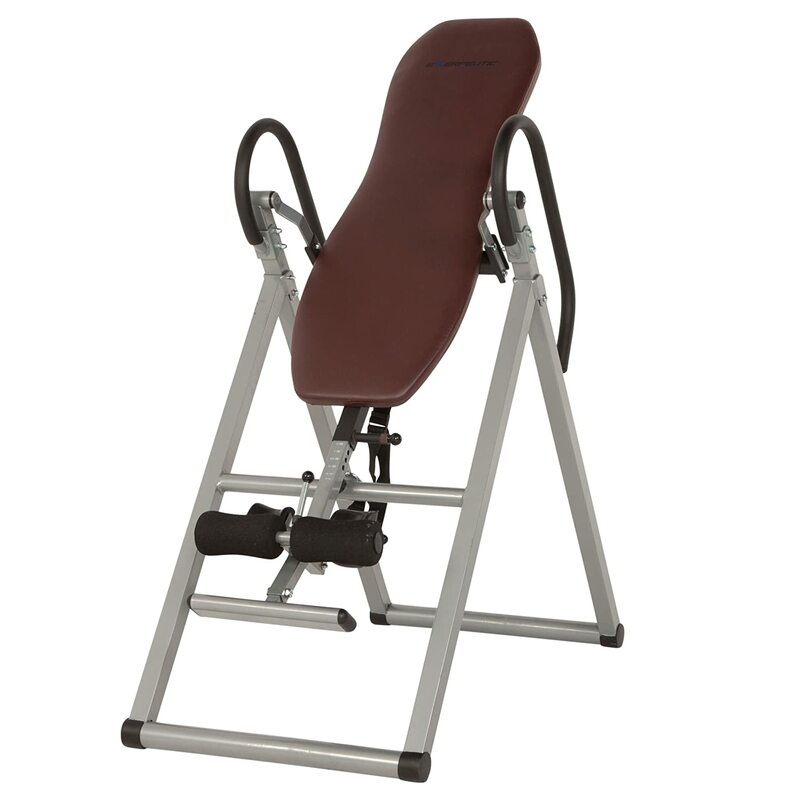 Inversion tables are more common on gyms than ever before, and many people use these devise at home. So do inversion tables work? While the experts may disagree on how and why they work, there’s no doubt that for some people, it really does work. You only need to read the many inversion table reviews to find people attesting to its usefulness. Even athletes are using it. Deciding on inversion therapy for your back pain relief and training needs is one thing. But deciding on a particular inversion table is another thing entirely. So we’ve made it easier for you by offering a handy list of good yet affordable inversion tables that may suit your needs. This does have many of the features you can see in the higher quality inversion tables. The ITX9700 is an upgrade of its popular Innova ITX9600. It can carry up to 300 pounds, and accommodate people whose height ranges from 4 feet 10 inches to 6 feet 6 inches. The assembly is a piece of cake when you read the instructions. It is very comfy with the superb padding and controls. It is light enough at 55 pounds. They could have added the hot/cold compress for free. The warranty can be for a longer period. Storage can still be a problem because of its size and dimensions. With so many people overweight these days, using an inversion table can be a rather worrying prospect for many. “Can it really handle my weight?” is often the first question asked by prospective users. The Ironman Gravity 4000 should be able to, as it’s rated to support up to 350 pounds.It can also accommodate the frame of tall people who measure up to 6 feet 6 inches in height. For your safety, it comes with an easily adjustable safety tether strap which you use to control the maximum inversion angle. Your hands and fingers are also protected by safety vinyl side covers. It uses memory foam for the backrest, and it even has a removable lumbar pillow for additional support for your lower back. The safety handles at the sides are extra-large and are covered in foam, while the feet come with non-skid stabilizers. It is extremely tough (the frame has a lifetime warranty, with other parts covered for at least a year) and it can accommodate just about everyone. It is also quite easy to assemble. Using it is easy and very comfortable too. The packaging isn’t the best, so it may get damaged during delivery. Since it is build to handle large people, it’s quite big and heavy. It weighs 85 pounds, and even when it is folded it may not be possible to just store it under a bed or in a closet. 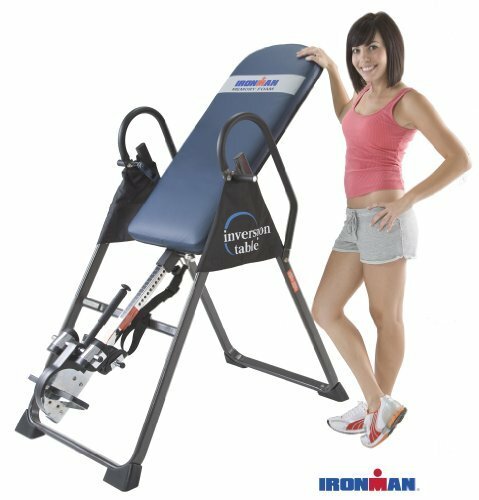 The price for this inversion table is less than half that of the Ironman, but that doesn’t mean it is only half as good. It can still support people who measure 6 feet 6 inches although the weight capacity is a bit lesser at 300 pounds. The foam roller and ankle cushions hold your feet securely. It also comes with an easy pull ankle release system. Again you have the adjustable tether strap that lets you control the angle. The full loop handle bars at the side gets you back right side up without any hassle. The assembly is quite straightforward, and with the clear instructions you’ll only need a half-hour or so to complete it. It really helps that the tools that come with the purchase aren’t the really cheap types and they work really well. It is very easy to use, so you don’t need someone with you to get you right back up. It is light at just 55 pounds, so it shouldn’t be too hard to move it. The price is amazingly low. The warranty for the frame is only for 5 years, while for the other parts it’s only for 90 days. There’s no lumbar support and for your ankles you may want to wear socks and shoes for maximum comfort. Teeter is one of the more well-known brands in the inversion industry, and that’s for a good reason. These people consistently offer well-made models with easy to use features. However, going with a famous brand name can cost you a bit more. This one costs more than 3 times as much as the Exerpeutic. Then again, you do get a lot more for your money. 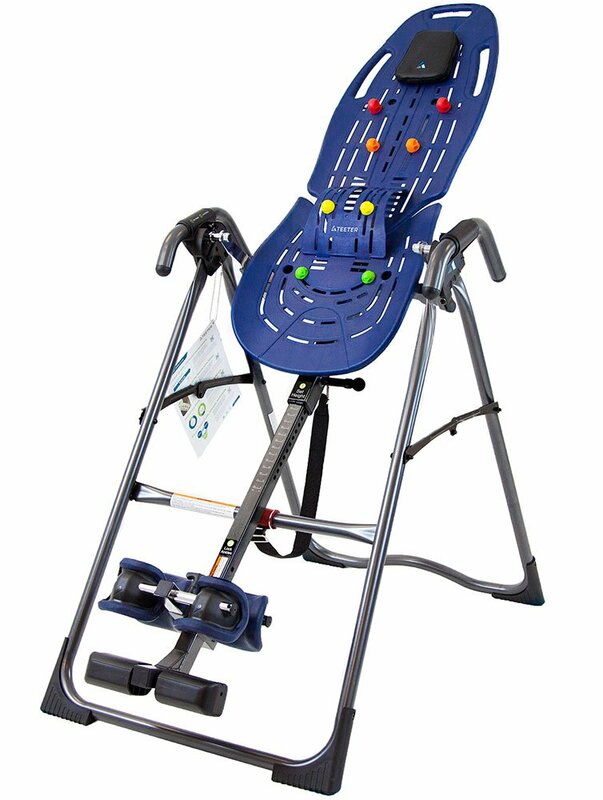 This model comes with lumbar bridge accessories, and it even has acupressure nodes for more effective therapy. It also comes with a handy DVD, so you don’t have to go online for some YouTube demo videos. The DVD also shows you how to assemble it properly. Teeter technology is superb and meticulous, and its innovative bed surface comes with specialty foam and a design that reduces pressure. You have several preset angles to choose from. You can use it for a shiatsu-style massage or for lower pain back relief inversion. It’s rated for 300 pounds, and it meets UL safety standards. The 5 year warranty covers everything. The therapeutic properties of the inversion surface are amazing. It is very secure and very easy to use. Assembling it is also much easier, as it has only about 25% of the number of parts that other inversion tables have. The price is probably the most notable concern for some people. The feet at the base is wider than other tables for increased stability, but that also means it will need more room in your home. You can customize it with Teeter accessories gravity boots and stretch traction handles, but at this price you were probably hoping they were already part of the purchase. Inversion therapy doesn’t have to use a table. If you’re a yoga fan, you may want to try this trapeze instead to go upside down. You can just hang this from an exposed beam or off your door frame. 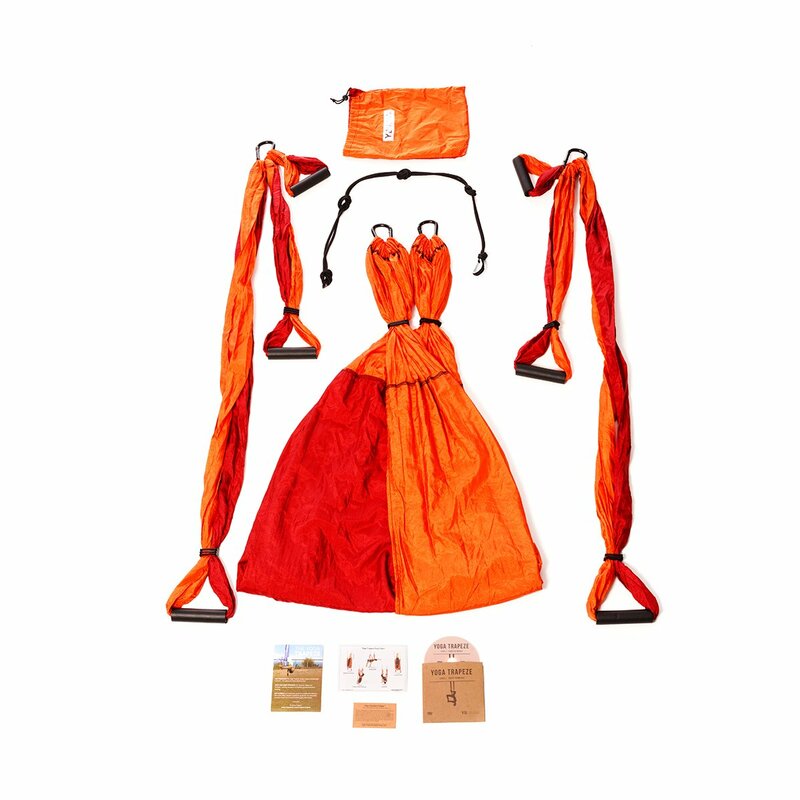 It’s made from parachute material and it’s very affordable. You’ll just have to go online to see how you use this properly, although yoga practitioners will have very little difficulty in figuring it out. The Yogabody website offers an online tutorial, plus you can always visit YouTube to learn the proper techniques for traction, back and core strengthening, and flexibility exercises. This comes with a 600-pound capacity, and the warranty for every part is for 10 years. This is very affordable, so it’s great for your budget. Storage isn’t aproblem either, as it comes in a bag and you can even bring it with you on vacation. This model is used in yoga studios worldwide. The warranty is very long and you can have the entire item replaced if something is defective. That’s unlike to happen since it’s quite tough (rated for 600 pounds, remember). Using this isn’t quite as easy to figure out, and there isn’t a handy DVD. There’s no way for you to just lie back, since there’s no table. You really have to make sure you hang this securely. This is perhaps the most common use for inversion therapy in homes around the world.At any given time, 31 million Americans are going through some low back pain, and it’s the leading cause of disability in the world. Muscles tend to work just about all the time, even when you’re asleep. A lot of people have bad posture, no doubt made worse by hunching over computers on their desks. Inversion therapy can help realign your spinal column which can then improve your entire posture. Your spinal disc can undergo problems as you get older, and you’ll have to go to a doctor to have them treated properly. As you get older, your body’s ability to circulate your blood to your muscles and your brain becomes less effective. The regular use of an inversion table, however, can help slow down or in some cases even reverse this trend so your blood circulation improves. 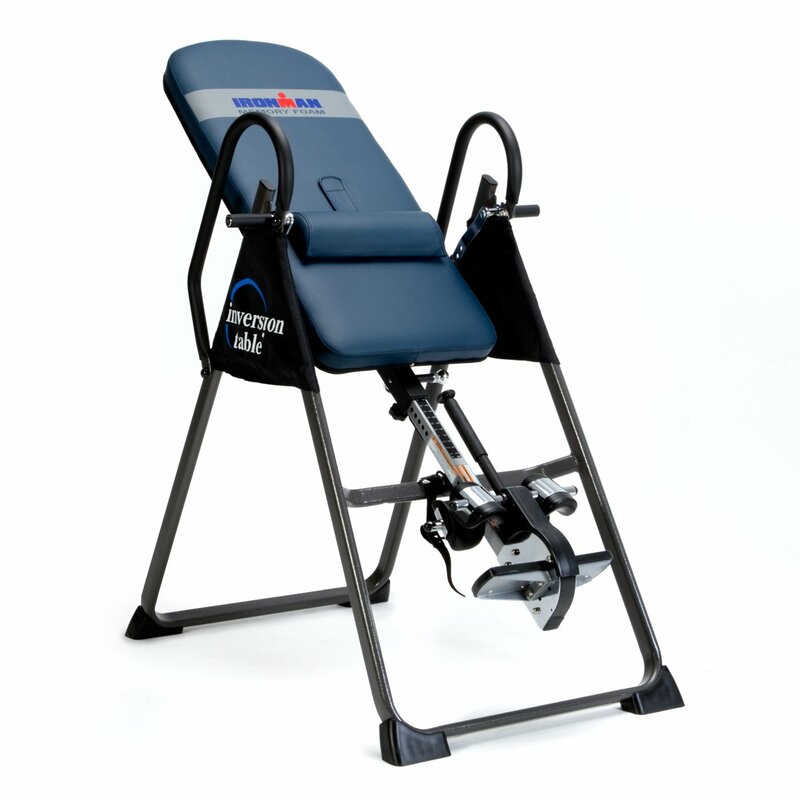 A good inversion table is crucial if you plan on hanging upside down for your therapy. You need one that’s very steady because you don’t want to fall to the floor while upside down, and it should be easy to get inverted and turn right side up again. If you’re a yoga enthusiast, then the Yogabody Trapeze is a natural choice. For the rest of us, any of the other inversion table options is a good buy. The Ironman Gravity 4000 is for you if you want every assurance that it will carry your weight, and the Exerpeutic offers a fantastic price. The Teeter EP560 remains a fan favorite among many despite the price, and you can customize it with accessories. For us, the favorite is the Innova ITX9700 as it is very comfy, easy to use, stable, and yet the price is very reasonable. 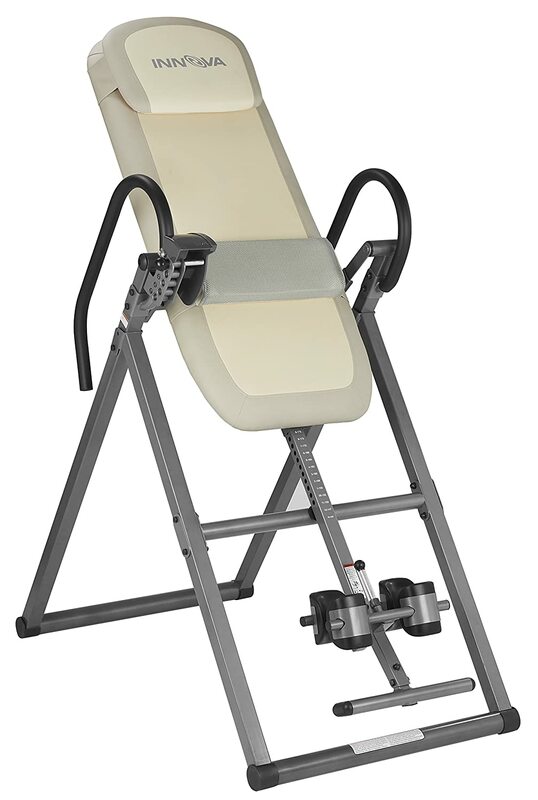 It is probably the best inversion table for many, especially for those who are looking for lower back pain relief.